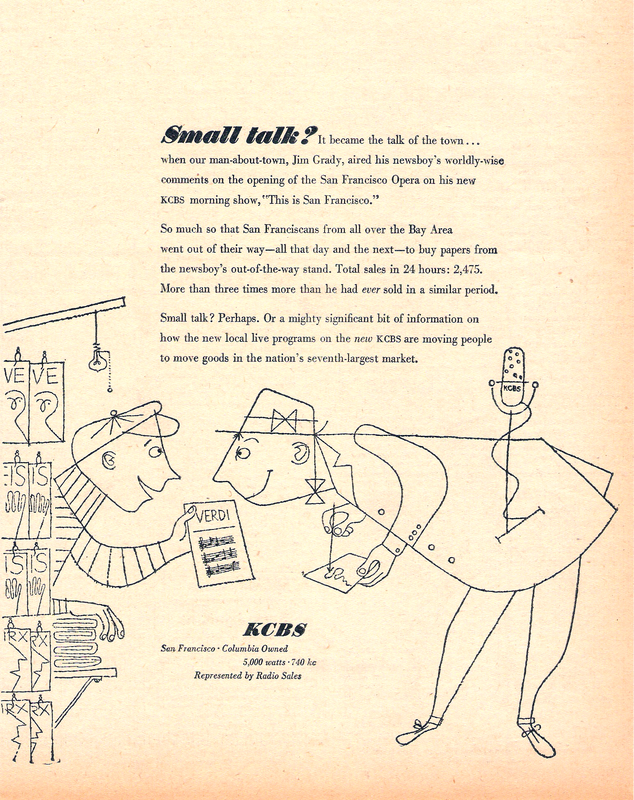 KCBS Jim Grady ad for “This Is San Francisco” (Circa 1950). Note KCBS power is 5,000 watts. THERE IS ALSO A B&W COPY OF THIS AD!